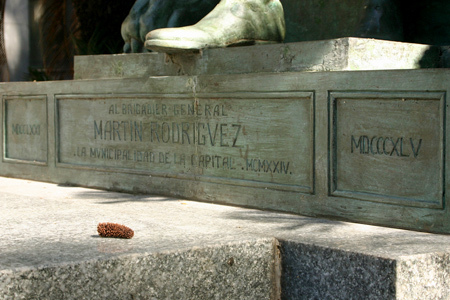 Successful rancher turned soldier, Martín Rodríguez participated in almost every conflict in early Argentine history. 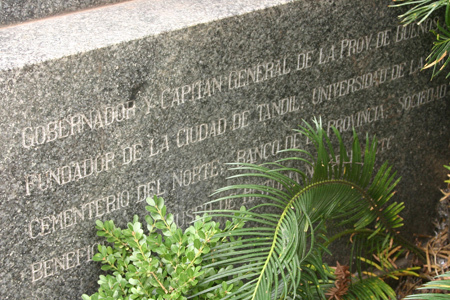 His first campaign was against the British in 1806, taking back the Iglesia de Santo Domingo in downtown Buenos Aires. 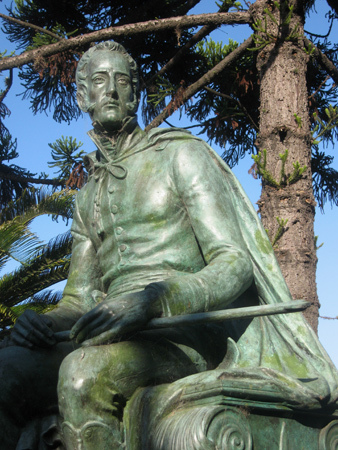 During independence, Rodríguez went north to fight with Manuel Belgrano & saw his share of victories as well as defeats. very romantic, in the 19th century’s aception of the word..
Yeah, it’s very noble. 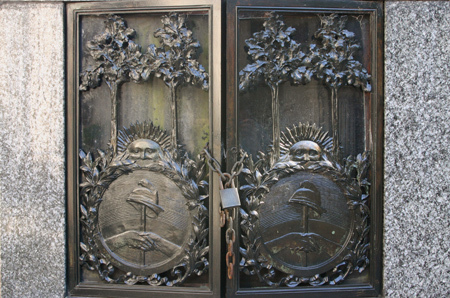 Arturo Dresco was a genius… remember that he did the door for the Escuela Carlos Pellegrini in San Cristóbal (Avenida Entre Ríos), among other things. Sorry, a little mistake. Rodríguez and Rivadavia took over in 1820 (Rivadavia afterwards was the first President of Argentina – 1826 to 1827 -), Dorrego was executed in 1829. Thanks, Hugo. I deleted the few words about Dorrego to correct the post. Saludos.